Clean water is something we often take for granted, but the reality is that this is one of our most precious resources. Cape Town South Africa is in the midst of a water crisis, and faces the possibility of running out of clean water in 2019. Here in San Diego, California we import 85% of our water supply from the Colorado River and Northern California Bay Delta. 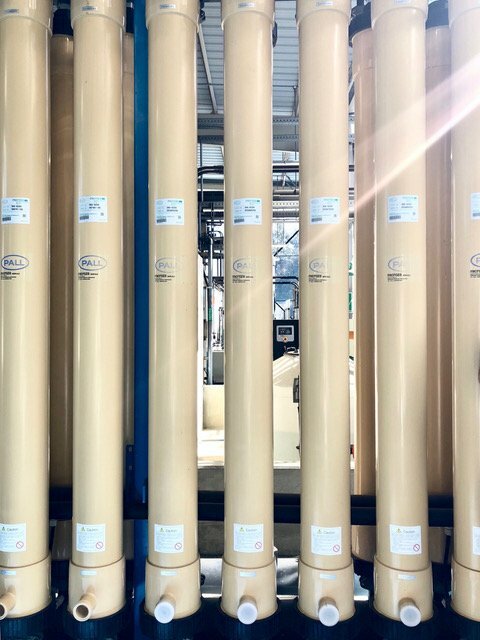 The cost of this imported water has tripled in the last 15 years, and our city is under pressure to consider other options. That's where Pure Water San Diego comes in. 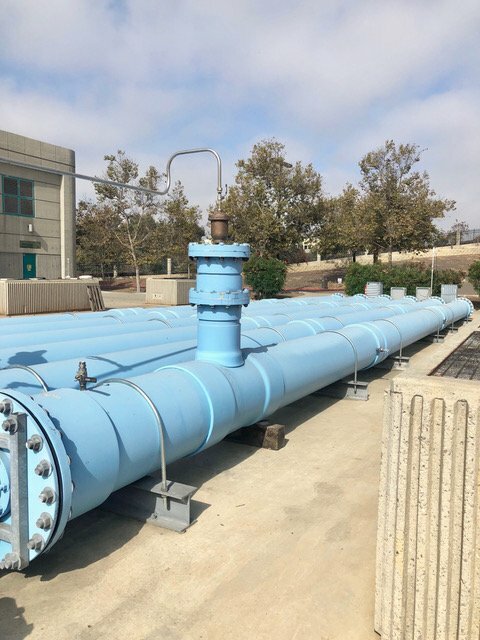 Pure Water San Diego is a multi-phase project that aims to provide one third of San Diego's water supply locally by 2035. If San Diego is importing 85% of it's water, how could over 30% be provided locally? Where is that water coming from? Well, as it turns out, only 8% of the city's wastewater is recycled. The rest is treated and discharged into the ocean. 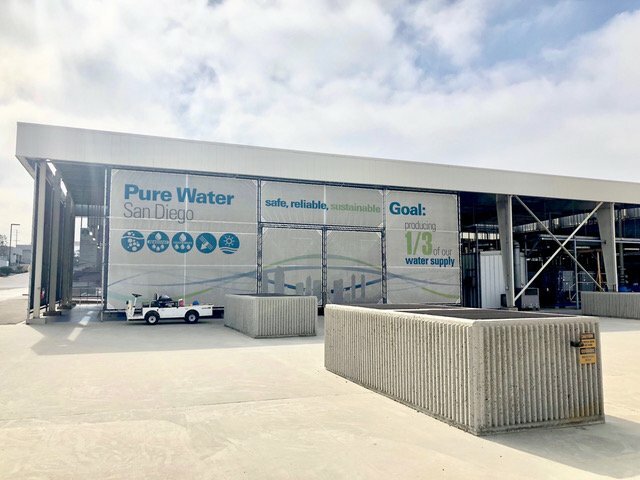 Pure Water San Diego aims to close the loop, and make the city's water system more efficient and less wasteful. 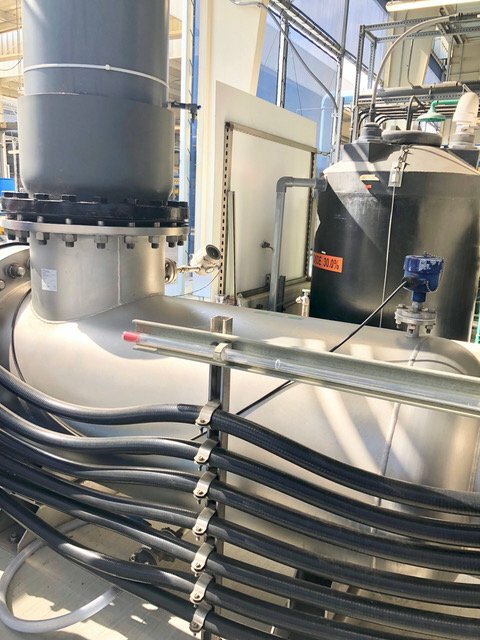 Using innovative new filtration technology, wastewater can be returned into the system at a quality that meets all federal and state drinking water standards. 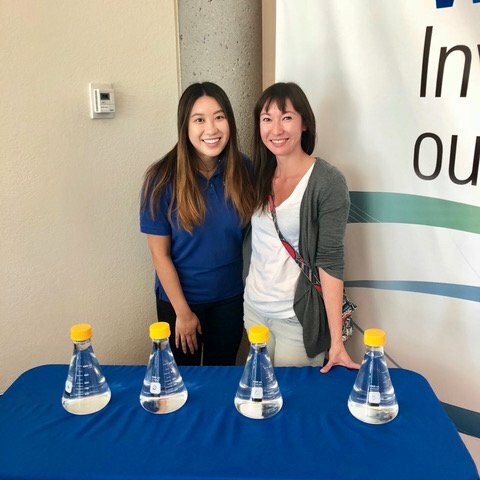 If you're curious to learn more about how it all works, you're in luck - Pure Water San Diego offers tours of their demonstration facility once a month. 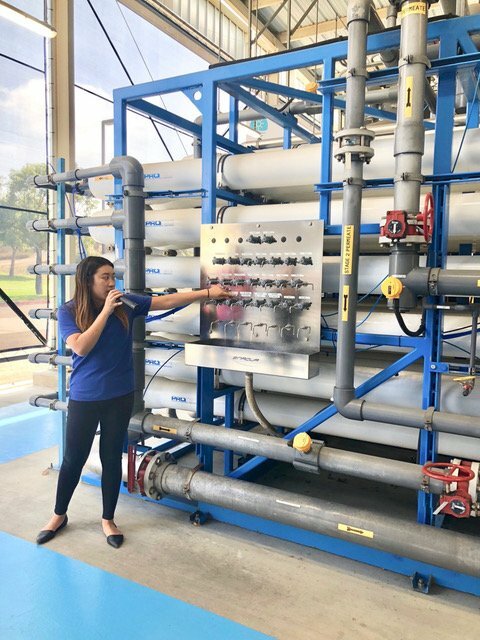 Keep reading to see some highlights from the tour, and learn about the 5-step filtration process that transforms wastewater into crystal clear H20! Ozone gas is injected into the water, which destroys microorganisms and breaks down organic substances. That's what's going on in the big blue pipes pictured above. Next, the water is passed through filters that contain carbon granules covered with helpful bacteria. These "good bacteria" eat 30-50% of organic matter - anything that is or was living at one time. According to the engineer on the tour with us, reverse osmosis is the real power horse of the whole process. Basically, osmosis is a process that occurs when fluids of two different concentrations are separated by a semi-permeable membrane. Larger molecules can't move through the membrane, but water can. 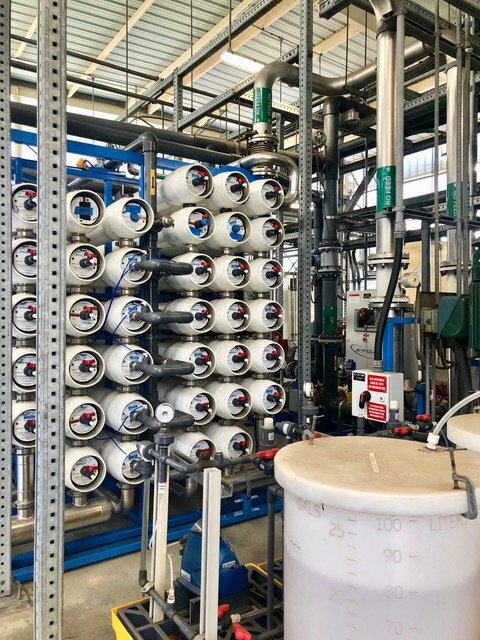 Reverse osmosis uses pressure to force water through super fine membranes, filtering out salts, minerals, personal care products and pharmaceuticals in the process. 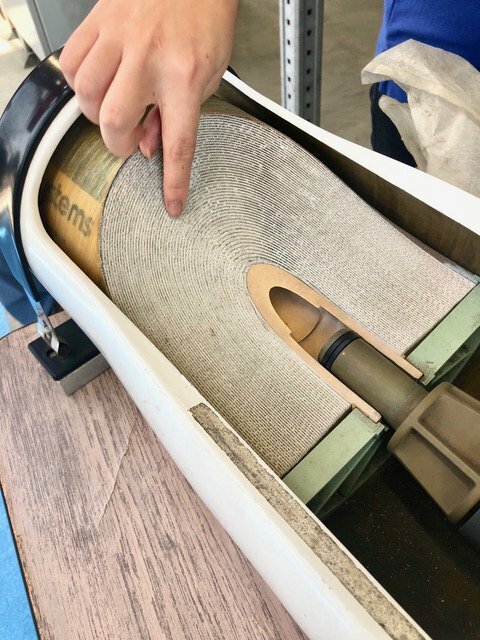 Here's a look into a cut cross section of one of the reverse osmosis pipes. 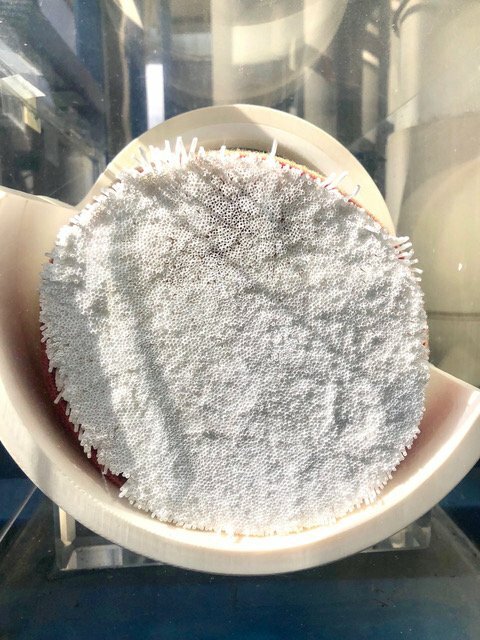 The spirally wound membranes have very fine pores that capture the tiniest particles, including pharmaceuticals that end up in the water. At the end of the tour we got to sample some of the filtered water. I just had a little cup, but it tasted good to me. To be honest, I was a little nervous to try it. The idea of drinking wastewater is a little icky to me. But the reality is, here in San Diego we are at the end of the line when it comes to water. Even the water we import from Colorado and Northern California has been used by all the people upriver. Anyways, this filtered water passed all federal and state drinking water standards. It's time to stop taking our water systems for granted. When you get to know the complexities that bring miraculous, life-giving water to your home every day, you start to value this precious resource more than ever. That's why it's important to use water wisely, and develop new technologies that help protect our most precious natural resource.